Sign Up for Yours Today! 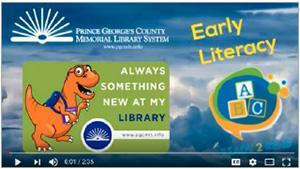 Largo, MD – September is Library Card Sign-up Month! 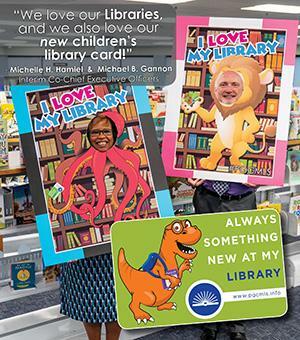 Check out our newly designed, bright, cheerful children’s library card available at all Prince George’s County Memorial Library System branches. Visit our newest themed-children’s area, Discovery Reef at our New Carrollton Branch that reopens September 26. This children’s area features a 270-gallon salt water aquarium, colorful overhead lighting that simulates the underwater experience, a reef wall seating area complete with life-like exotic fish, a storytime room that replicates a deep sea habitat and a glowing tube of moving bubbles. Parents and guardians don’t miss out! Register your children under the age of five now in our Ready 2 Read Books from Birth program. Build your children’s library and vocabulary with a free book every month prior to their 5th birthday! Visit our Ready 2 Read Centers available at every branch. These early literacy interactive spaces provide young children with hands-on experiences and activities, such as blocks, dramatic play and puzzles. Families are encouraged to talk, sing, read, draw/write, play and learn together every day @ your library! To find out more about what you can do to promote early literacy and school readiness, click here. Check out this video, and learn about the exciting, free resources your children will enjoy with their new library cards!